A business owner in Oldham has been sentenced after more than £3,000 of counterfeit tobacco was found at his business address. Aran Mohammady, who was sentenced to 100 hours unpaid work and given an £85 fine, was caught after a member of the public tipped police off to the sale of illegal tobacco products. 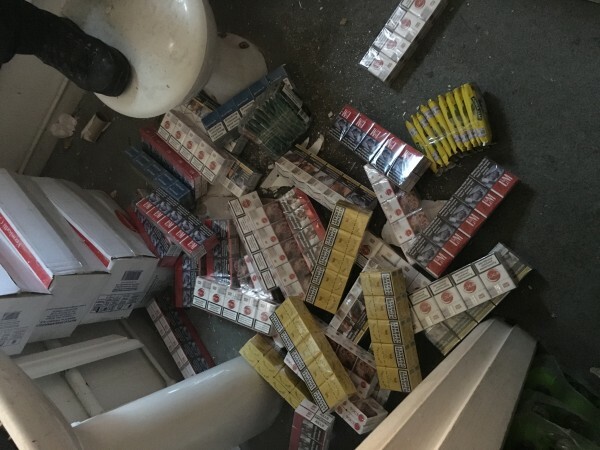 The haul was found at Odlham European Store by a sniffer dog and contained around 11,720 cigarettes and 3.2kg of rolling tobacco which had an estimated street value of £2,920. The haul has been forfeited and will be destroyed. The police encourage anyone with any information regarding the sale of illegal tobacco products, should report it to www.citizensadvice.org.uk.